Please dispose of your fishing hooks thoughtfully. Fishing is a dangerous sport for our pets. 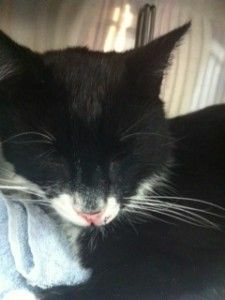 A very caring boat crew called VetHQ after they discovered a cat named Tux on a beach, tangled up in fishing wire. Our staff met them at Double Bay wharf and transported Tux to our hospital. Luckily he was microchipped and we were able to quickly track down his very concerned owners. 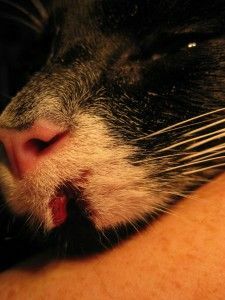 He had 2 fish hooks stuck in his paws and a 2cm cut to his lip. 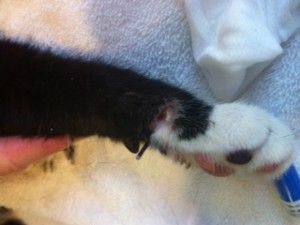 We immediately gave him pain relief and then anaesthetised him to remove the fish hooks and clean his wounds. We stitched up his lip and reunited him with his owners that night. If you are fishing, please do not leave your rods unattended and please discard your hooks appropriately. 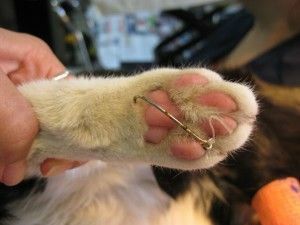 Cats and dogs are attracted to fish hooks because of the smell of fish and bait. 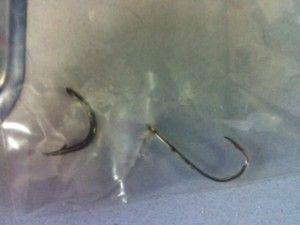 The hooks can get stuck in their limbs, face and lips, or cause serious internal trauma if they swallow them. 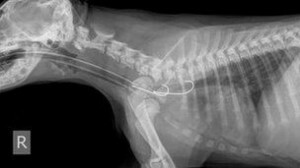 If your pet has swallowed a fish hook or gets one stuck in its skin, please call Vet HQ immediately. Do not try to remove them yourself.